When it comes to pumpkin pie, this is the recipe that I always use. It is my dad’s mom’s recipe, and since I never met her, it is one of those things that makes me feel closer to her! I love to know that I do some of the same things that she did sometime way back when. I was so tired last night when I got home from work, that I didn’t have any energy to put the pumpkin in the oven to bake. The result was that I had to drag myself out of bed at about 5:30 this morning to pop the squash in the oven! Baking pumpkin is actually really easy. Whack off the stem of the pumpkin or squash. You can also use sweet potatos if you don’t have pumpkin, or you want to try something new. 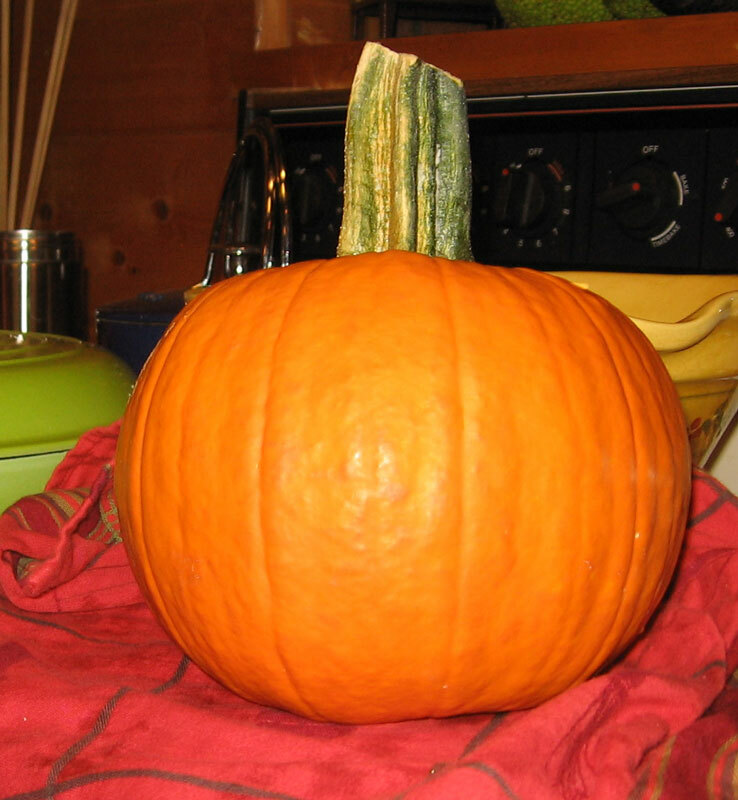 Cut the pumpkin in half, from top to bottom and remove seeds and any other stringy things. 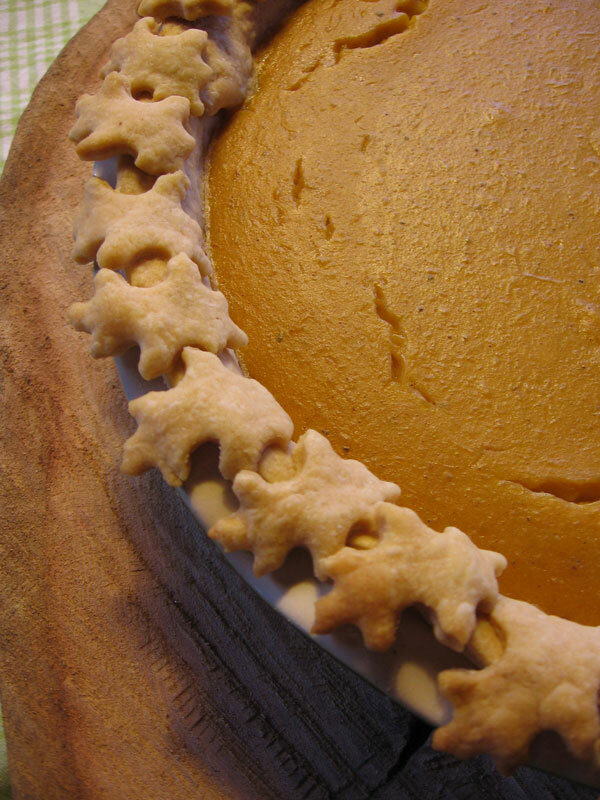 Place pumpkin cut side down on a jellyroll pan or in a baking dish. Fill the pan about 1″ high with water (if you are in a hurry you can use boiling water here to speed up the process). Bake in a 350 degree oven until completely tender, about 1 or 1 1/2 hours. When you stick a knife into the top it should go in really easily. 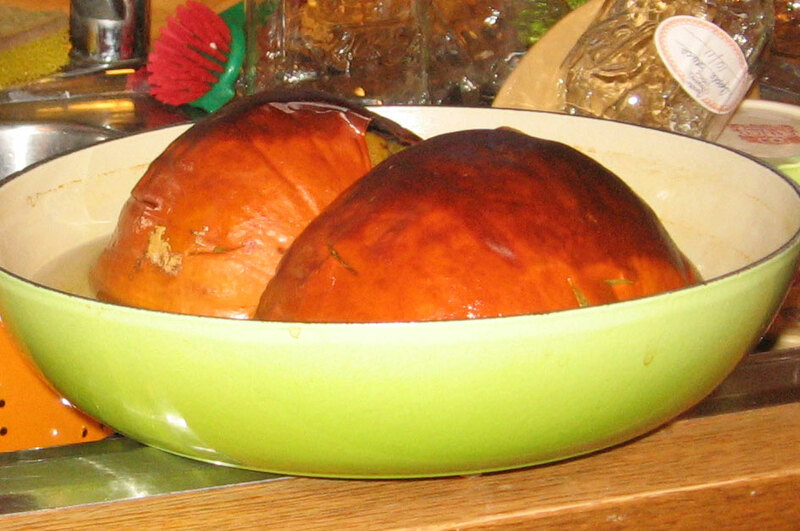 Remove pumpkin from oven, take out pan with water, and remove the peel. Place pumpkin pieces into a collander to drain. This is important especially if the pumpkin is particularly moist. 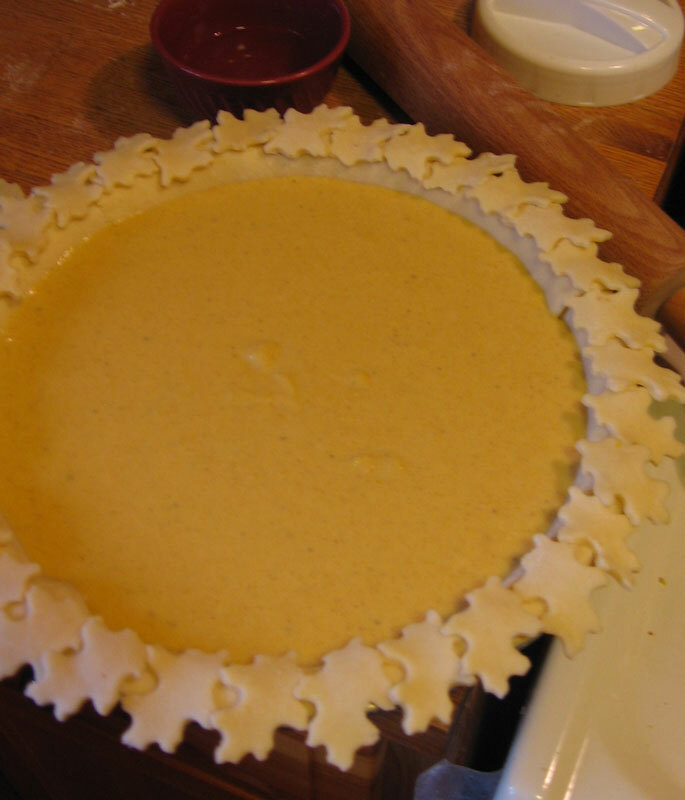 1 9″pie crust (recipe for about 2 crusts, or one pie crust with decorations, etc) It is best to have the dough prepared in advance so that it can chill in the fridge while you are preparing the filling. 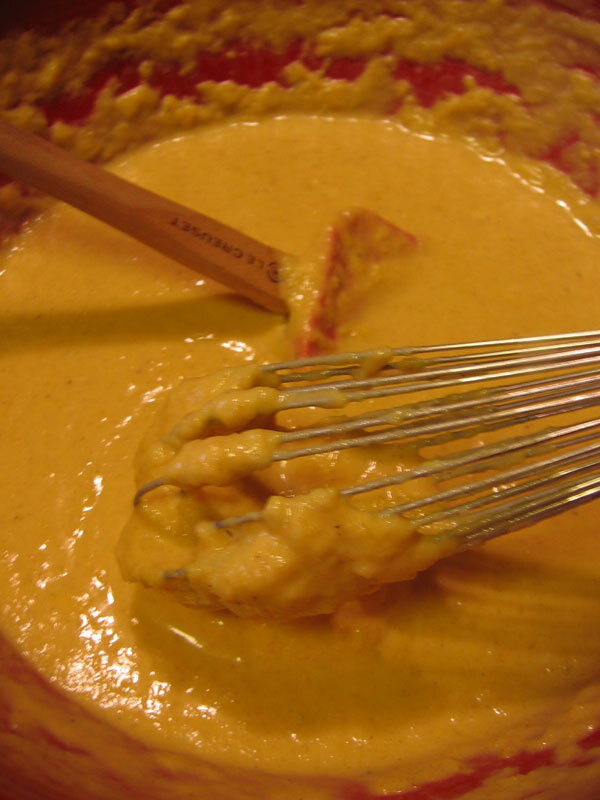 Whisk the above ingredients in a medium bowl. 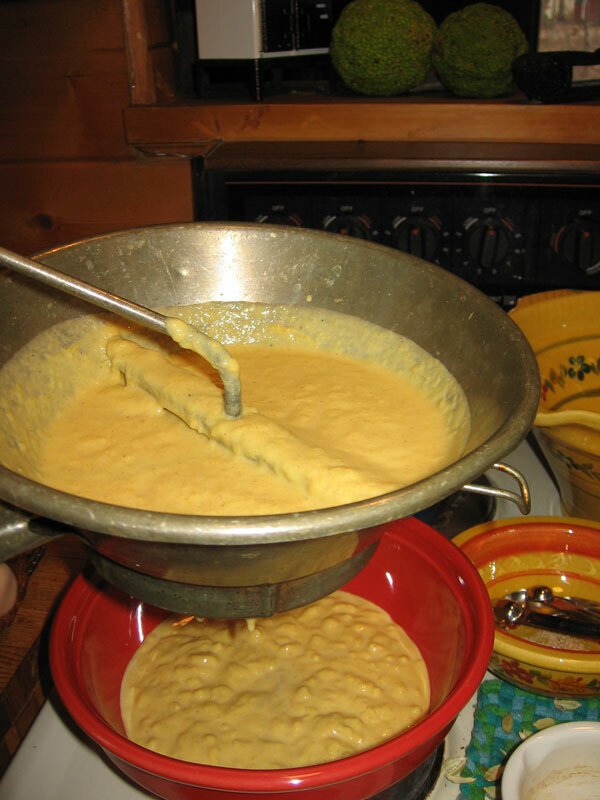 Stir until ingredients are combined, then add 1 can evaporated milk. Roll out dough and place in the pie pan, cutting edges nicely. I added little leaves that I cut out with a miniature leaf cookie cutter. It was really fun to make them and I loved how the extra detail looked on the finished pie. Pour the pumpkin filling into the pie and place into oven. After 10 minutes, turn the oven down to 350 degrees and bake until pie is firm, and a knife comes out clean when stuck into center of pie (about 35 minutes more). I placed some parchment paper around the edges to protect the crust from burning. I find that my pies generally take more than the additional 35 minutes to cook. Not sure why. it’s so pretty! i always mill the pumpkin before i mix it with everything else…. thanks! yes, i was wondering about when to mill the pumpkin. do you mill everything at the end too?? i guess probably not..
It’s SO pretty! I love the leaves around the crust edge. I definitely have to do that sometime.